Introduction to tennis and refresher courses for those who have not played for some time. The courses provide players with a sound knowledge off all the basic strokes and tactics. For those with a good grounding in the basics but perhaps haven’t played for a number a years or who have finished a beginners course. This course will prepare players for the move-up to intermediate play. Designed for the more experienced players, who want to look at tactics whilst improving their overall game; specialised strokes, movement and positioning. Dundonald Rec Tennis Club (DRTC) has been selected by the Lawn Tennis Association to run trial tournaments that could change the face of tennis in Britain. FAST4 TENNIS is a dynamic, fast and exiting way of playing tennis presently promoted and supported by tennis champions, including Roger Federer. On Sunday 13th September a County level tournament using the “new format” was organised and hosted by DRTC at Dundonald Rec and other local parks. The new format is something that everyone should try, it’s good for focus, concentration and fighting for each point. Fast4 is a very good format as it’s quick and exciting. The event at Dundonald TC lasted 6 hours during which 21 matches where played, with 16 of the players coming from all over the country to try the new tennis format. For a few hours Dundonald Rec was the centre of the future of British tennis. Anton Chateau, trustee of DRTC said. 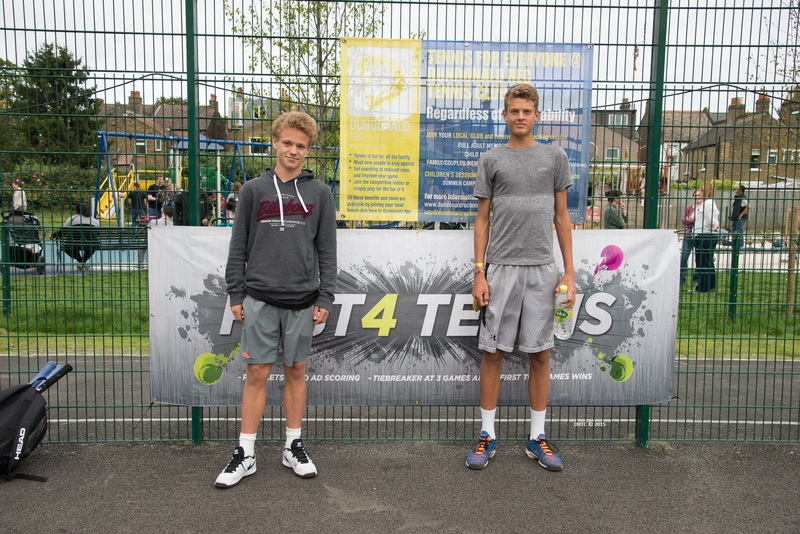 DRTC has always been very keen to support new ways of promoting tennis. 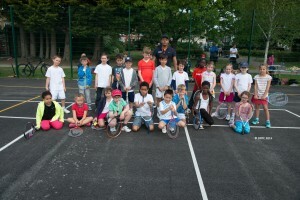 Our Olympic Legacy programme introduced hundreds of children to tennis. 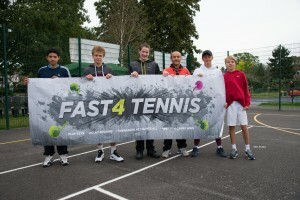 I’m confident that FAST4 will change the face of British tennis and make our game even more accessible to a wide range of people. The official referee of the tournament was Ernesto Pinto, an LTA official referee with experience in both local and National events. Dr Pinto is also the Chairman of DRTC. Dundonald Recreation Ground hosted its first junior LTA’s (Lawn Tennis Association) official tournament on Saturday 23rd May. In an atmosphere of great anticipation, 22 children from all around Surrey arrived at the Rec’s tennis courts to take part in the competition. For the host, Dundonald Rec Tennis Club (DRTC), it was an opportunity to introduce some talented local players to Surrey’s top competitive arena, whilst consolidating the club’s reputation as a key promoter of junior tennis in the Wimbledon area. DRTC’s Olympic Legacy and junior programmes are fast becoming a local ‘nursery’ for future junior tennis stars. The charity has great ambitions for tennis locally both now and in the future. The tournament was a total success; two children attending DRTC’s programmes reached the semi-final stages, Daniel Shand and Sophie Kalckstein. This is a terrific result for local players and supporters of British tennis. The winners of the competition were Frankie Morton and Isabella Molinari, two young players with bright futures ahead of them in tennis. A new era started today for Dundonald Rec Tennis Club as the club unveiled a new logo. 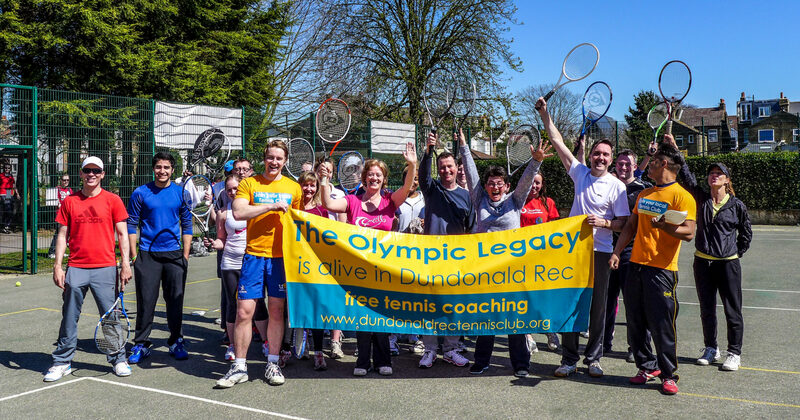 Post by Dundonald Rec Tennis Club. CARDIO-TENNIS – get ready for it – burn calories, improve your fitness and have fun! 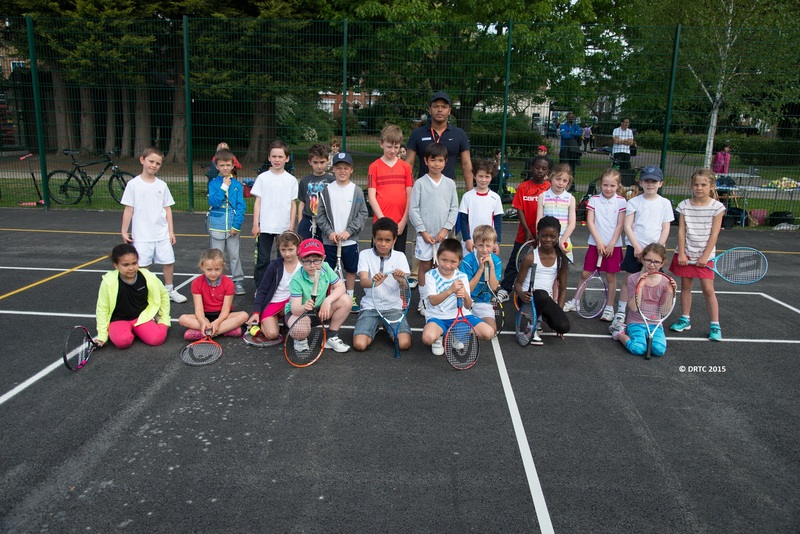 Wimbledon Champion Roger Federer visited Dundonald Rec Tennis Club (DRTC) on Thursday 27th June, during one of its free after school sessions days that the Club provides for the local community. Mr Federer praised the Olympic Legacy Programme which offers free tennis coaching to local children. “We discussed the importance of getting people involved in sport from a young age and I explained how DRTC is planning to achieve this”. “We invited Mr Federer to return to the DRTC when he’s next in Wimbledon to see the growth of tennis in our community”. The All England Tennis Club donated equipment which the DRTC is most appreciative of. The Olympic Legacy Programme was launched last week by the Mayor of Merton, the initiative has the support of local Gold Medallist Olympian, Sophie Hosking MBE. The Olympic Legacy Programme has already benefited more than 300 children from the Trinity Primary School who last week received free coaching over two days.